Here are a couple more full-color sketches for my third children’s book, “Rusty Bear and Thomas, Too” that depict Thomas finding, talking to and playing with, the redwood bear before his wooden friend comes to life and leads them on an adventure to save a forest family who is in trouble in the redwood grove. 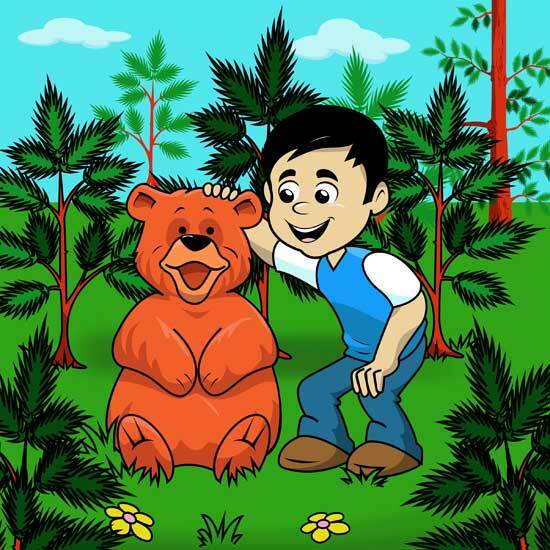 I just requested that all the remaining illustrations for “Rusty Bear and Thomas, Too” be created. Hopefully, that book will got to the printer late in September. Also, the mean, nasty, and grim Grumbly Grumpadinkle is making what I think is his first public appearance in this post. He’s the star of the book by the same name which is under development and scheduled for release after “Rusty Bear and Thomas, Too” is published. What you see is a concept sketch that will eventually become part of a full color illustration also featuring the other two stars of the book, Wendy Goodlight and her per kindness named Love. I’m probably only about a week away from being able to hold the first physical copies of my books “Clyde and I” and “Clyde and I Help a Hippo to Fly”. 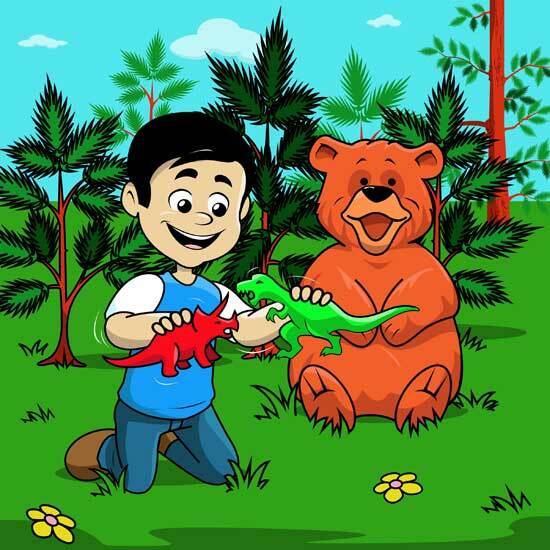 This entry was posted in Children's Stories Under Development, My Creative Process, Self-Publishing Books and tagged "Clyde and I", author, children's books, children's stories, Clyde and I Help a Hippo to Fly", hippo, writer. Bookmark the permalink. Thank you for your fun comment, Ute! The cool thing about being an adult is that you can also choose to act like a kid again too. Access your inner child, my friend. ;-D!